Welcome to the first week of September! It's a short week this week because of the holiday, so let's hit the ground running on Tuesday! You will have some homework and classwork to complete this week, but (since it is a short week) you will not have a quiz or a journal assignment on distributive property. Your homework will be graded, though. Please take it seriously. You will also have a Compass Learning assignment to complete by Friday. You will not have a Compass Learning assignment this week. In science, we will start our investigation of rocks and the rock cycle! After an introductory lesson on Tuesday, I will give you the following choice sheet to complete over the next two weeks. You will have a vocabulary quiz Friday, September 5th on the following words. There are A LOT of them (and one less night to study), so please review them nightly so you are ready for the quiz. Your final rock cycle test will take place next Friday, September 12. You can use the above vocabulary list and the following study guide to help you prepare. Progress reports will be sent home Tuesday. Please review them with your family, sign, and return them to your homeroom teacher Wednesday. Please refer to my Grading Procedures for more information about classroom grades. You can view individual classwork and test grades at any time by logging into PowerSchool Parent Access. 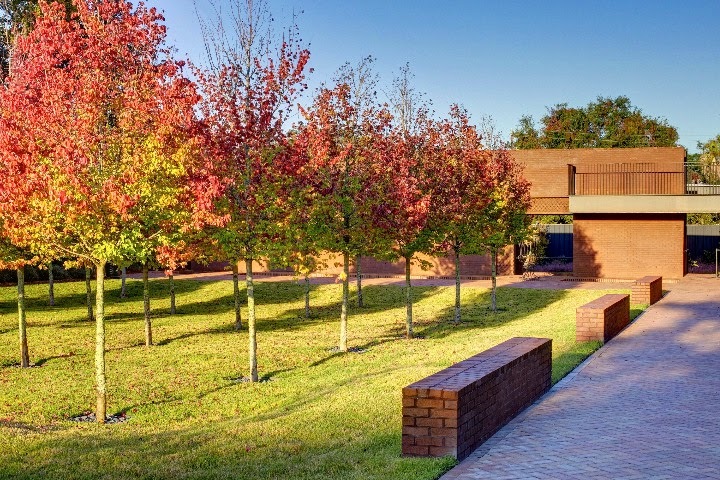 We will be taking a field trip to Skidaway Island State Park on Friday, September 12. Permission slips will be sent home Monday Tuesday. Please return them and $2 by Friday. As always, I've updated the classroom calendar with all these important due dates. Please keep your planner updated, too. After a week of incredibly high temperatures, it looks like some relief is in sight after this weekend! I'm so glad we have a working air conditioner in our classroom to keep us cool and comfortable. Although, I know many of you are so busy that you haven't even noticed the room temperature! I'm seeing some very interesting work happening, and i'm excited to see what new creations you come up with this week! Our math lessons this week will be about finding the greatest common factor (GCF) of a set of numbers. Be careful not to get GCF mixed up with LCM that we studied last week; this is the most common mistake students make when working with the two. First, I will show you how to use our handy-dandy Montessori peg board to find the GCF of numbers. Then, we will move onto some other strategies you can use. You will have homework Monday and Tuesday evening. Your math journal will be due Thursday. You will have a quiz on GCF Thursday. As you work through the week, check out this sheet if you'd like some extra practice finding GCF. The answers are found at the bottom of the page. 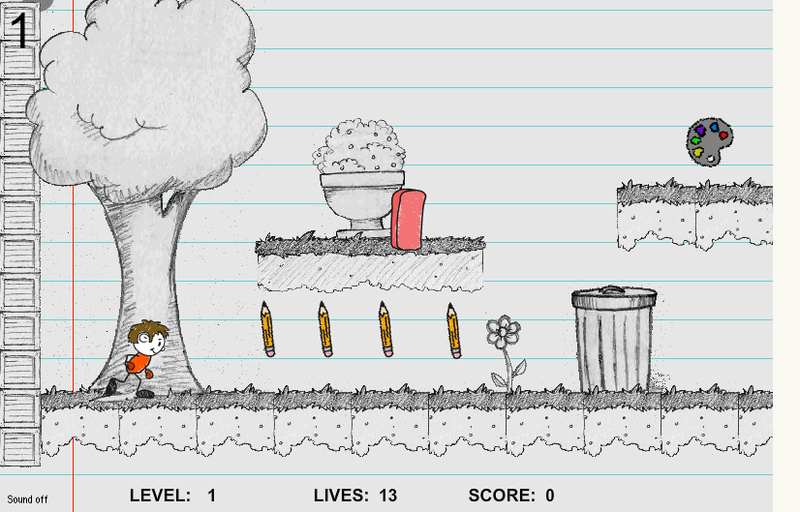 You can also visit this fun game called "Sketch's World" where you must help a pencil-drawn person escape some evil erasers...while answering some GCF problems along the way! Click the picture below to play! We will continue investigating minerals this week. We will spend some time discussing mining of minerals just like the ones you've been using in class. I know you will enjoy the lab I have planned for you this week! This Friday is picture day! You are free to dress down for the day, but be sure to wear your smile! Finally, don't forget that Labor Day is on Monday, September 1. There will be no school that day. We've spent a lot of time practicing our procedures over the past week. Now it is time to put all that preparation to good use as we start our first week of lessons and workperiods. I'm trusting you to follow the procedures we've put in place to ensure that everyone has the ability to lean in a peaceful and smoothly-running environment. Let's get started! We will also continue our math journal work this week. Please complete each step of the journaling process each day. You will give this to me Thursday, and I will return it to you Friday for you to review my comments on your work. In science, we will start our earth studies lessons by investigating minerals! After a lesson on Monday, I will set you free to explore all you can about minerals for the next two weeks! To help guide your studies, please complete the following choice sheet. Your three choices will be due next Friday. 1. The daily and weekly schedule is written on the board. 2. Please copy your daily "I can" statement and homework into your planner for each class. Your planner is kept in your travel folder and will be taken home with you nightly. 3. I keep the calendar updated on this blog. It includes all important tests and assignment due dates. You can find the classroom calendar by clicking on the "Calendar" button at the top of this page. 4. All upcoming graded items are shown on PowerSchool (the online shared grade book). If you have not created your account, please see Ms. Ester in the office for your username and password. We had a great first full week of school Friday! We started the day with my homeroom visiting Ms. Kirsten's PreK-K class. We will work together as mentor throughout the year. This mentor time is beneficial to both the younger and older students because it gives valuable practicing in interpersonal skills. It's also just plain fun! Our day also included a lab time where we practiced the scientific method. We discovered how detergent effects the surface area of water by measuring how much pure and soapy water the face of a penny can hold. We will use the scientific method in every lab that we do this year. How does detergent effect the surface tension of water? Check back later this weekend for a preview of what we will be doing next week in class! Today we took a look at the history of numbers! We traced numbers from the notches on cave walls from 30,000 BCE to the Arabic-inspired numbers we use today. After creating a timeline of major events in the history of numbers, we created personal timelines that charted math milestones in our own lives. I wonder what your math future has in store? -Students may enter the foyer at 7:15 AM but will not be released to class until 7:25 AM. -Breakfast begins at 7:25 AM and ends at 7:50 AM. (late bus children may still receive breakfast). -The morning Bell Time is 7:55 AM and all children must be in their classroom at this time. -7:56 AM. Exceptions will be made due to inclement weather or other traffic issues that back up the carpool line (at administrations discretion)or delayed buses. -Then Walker parents in Foyer will be released to collect children from the classroom all parents must have signed in and display a sticker. -Carpool ends at 3:00 PM. Exceptions to carpool will be made dependent on weather and other traffic issues. When the line has ceased then phone calls will be made by the supervising teacher in the front office. Welcome to the first full week of school! I've had such a wonderful time getting to know each of you last week! Now that we've spent time reviewing procedures and the workings of our classroom, it is time to start some math and science lessons! We will start our week with a presentation of the great lesson "God With No Hands". This great lesson is one of five stories Maria Montessori used in her teachings to inspire her students to think critically about the world around them. This lesson speaks of the beginnings of our universe and the formation of planet Earth. As a followup to the great lesson, we will do a sorting activity about four branches of Earth Science: astronomy, meteorology, geology, and oceanography. I will also invite you to investigate the various ways living and nonliving things on our planet are connected is a lesson entitled "The Unconscious Exchange of Services". After the lesson, we will be discussing another Montessori concept: The Fundamental Needs of All Humans. This lesson focus on the basic needs that all people need to live productive, happy, and healthy lives. This lesson will follow us through our entire year as we connect each of our lessons back to this list of needs. Doing so will give us purpose for our learning. This lesson is also important because it will serve as the theme for THIS year's musical! Mid-week, I will share with you another Montessori great lesson called "The Story of Numbers". This lesson speaks about the history of numbers from mere notches on wolf bones to the arabic-enspired numbers we use today. This story should be fresh in your memory because it was the theme for last year's musical. I will place the script for the story of numbers on our math shelf for you to read. We will then take the MAP assessment. This computer-based math test will give us information about your specific strengths and need, and help us plan appropriate lessons for you. It is a rather lengthly test, so please take your time and try to suppress the feeling to rush through it you may feel. More information about the MAP assessment can be found HERE. Since this is still considered an introductory week of school, you will not have much math or science homework. Please be sure to review your procedures nightly. The papers I gave you last week to be signed by your parents are due Friday the 15th. Also, remember that Ms. Channil has requested that all students have clear or mesh book bags by this Wednesday the 13th. I welcomed you back to another year of school by reading the book "You are Stardust" by Elin Kelsey. I believe that enjoying this story together is a wonderful way to start our year for a few reasons. First, it speaks of our connection to the universe and planet Earth. Our science studies will include exploring from the center of our planet to the farthest reaches of the universe! Secondly, it conveys that each one of us are a a special miracle blessed with life! Our grace and courtesy lessons this year will help us make the most of our short time on this planet by improving our relationships with others. Both of these concepts are deeply rooted in our Montessori philosophy. It is my hope that during the upcoming school year you will not only learn a lot about math and science, but also about yourself and your personal purpose on this planet. Don't forget: YOU ARE STARDUST! P.S. Check out this article from Science News for Students from the Society for Science and the Public for the science behind the story. 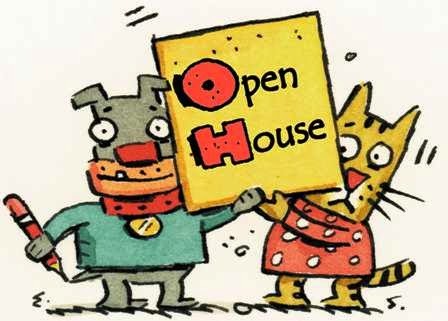 Don't forget about the Ellis Open House tomorrow (August 4) from 4:00-6:00 pm. At Open House you will get a chance to meet your teachers and see your classrooms.